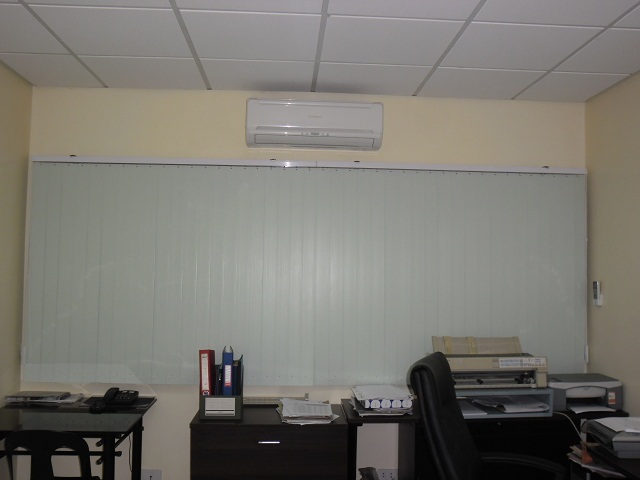 Vertical Blinds are one of the simplest blinds emerging nowadays. It commonly used to cover bigger windows, sliding glass doors, patio doors and other oversize windows. It can be custom-made to fit into any window sizes. There are different options you can have when opening vertical blinds; split type, stack and draw. Split type is where you can open the vertical blinds in the center or simply be drawn open to the left or right side. Stack is where it opens to either left or right side. With left stack, all slats can be drawn to the left side of your window, and with right stack, all slats are can be drawn to the right. There are also different materials used for vertical blinds. Commonly used are fabric and PVC (polyvinyl) materials. PVC vertical blinds are one of the most opaque materials available in the market. It is also one of the most budget-friendly window coverings. Its several designs and colors, durability and affordability makes it more and more popular and in demand. 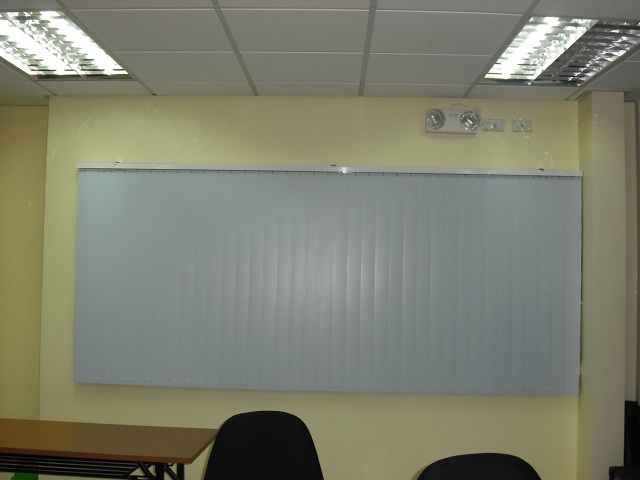 PVC vertical slats consist of corr curve, curve, corr flat and flat designs with different colors to choose. Our client from Ayala Alabang, Philippines opted for flat type of PVC vertical blinds which perfectly fit to their overall room motif. Other than PVC material, there are also fabric vertical blinds. It is more elegant and lighter than PVC material, allowing air to enter your room freely. However, its price is higher than with PVC. In DS Windows & Walls, you are free to choose whether you like the cord place to the right or left, depending on how’s the configuration and placement of the window in your room. 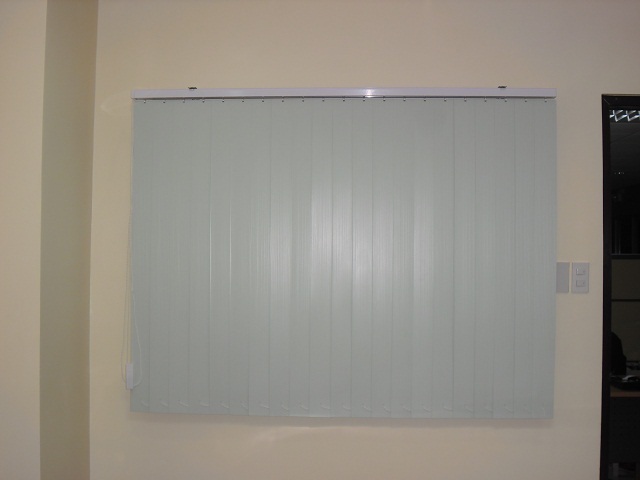 Our custom-made vertical blinds are made of high quality materials which cause to last longer. Be sure to have your window professionally measured. We offer FREE home visit to measure your windows if you are within Metro Manila. Call us at (02) 403-3262 / (02) 893-1373 / 0916-311-3909 for further inquiries. You can also visit our kiosk at 4th level Waltermart, Makati City and 3rd level Robinsons Metro East, Pasig City. Email us at inquiry@dswindows.com for free quotation.